THERE WAS A ‘substantial increase’ in complaints about dentists charging higher prices than those shown on the practice websites in 2016, according to the Dental Complaints Resolution Service (DCRE). The service dealt with 102 complaints last year, down from 134 in 2015 and 158 in 2014. Now in its fifth year, the DCRS gave a breakdown of the complaints it received in 2016 at the launch of its annual report this week. The highest number of complaints were about filings (11), while root canals and diagnoses were the subject of 10 complaints each. ‘Failure of treatment’ accounted for nine complaints as did ‘failure to explain treatment costs’. Complaints regarding non-display of prices in reception areas and dentists charging higher prices than those shown on the practice’s website have increased substantially. Launching the annual report this week, DCRS service facilitator Michael Kilkoyne said the service received a jump in complaints about DIY dentistry – but added that this is not something the DCRS can pursue as the companies involved are not regulated by the Dental Council. He described one case where a UK customer got in touch after spending around €900 on a straightening kit that was provided by an Irish company. He said the customer was not happy with the results and the company gave “all sorts of excuses”. Around 10 complaints received in 2016 were about at-home teeth-straightening kits and teeth-whitening kits. 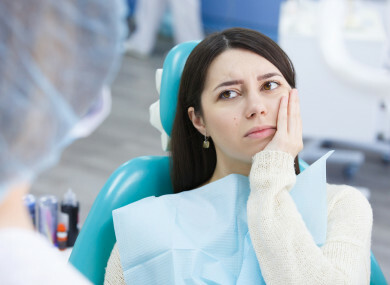 Treasurer of the Irish Dental Association Dr Eamon Croke said, “You send them off and you don’t know who sees it afterwards, you don’t know where the assessment is done. If you have a pain in your back you will generally go to the doctor, you won’t go to a DIY shop. In one case the complaint was about a dentist being rude. Kilkoyne said, “His attitude was abrupt, he was ignoring her [his patient] and not answering her back. Of the 102 complaints accepted from patients, 58 were resolved by the service by the end of the year. The most common resolution was fees being refunded (23 cases). Re-treatment worked in 15 cases, nine cases were resolved when dentists agreed to pay for remedial treatment and two were resolved with an apology. Seven cases didn’t proceed further than the complaint as an explanation found there was no substance. When asked how long patients have to lodge a complaint after an incident, Kilkoyne said “generally 12 months” but added that it could be longer in some instances. Email “Dentists charging more than listed, home kits not working and rudeness: Ireland's dentistry complaints”. Feedback on “Dentists charging more than listed, home kits not working and rudeness: Ireland's dentistry complaints”.